Keep warm in fashionable men's jackets from GearBuyer. 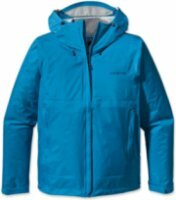 Browser warm and stylish men's jackets from The North Face, Burton, Patagonia, Columbia, Arc'Teryx, Marmot, Mountain Hardwear, Spyder and more. 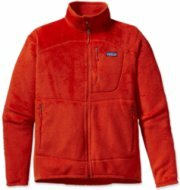 Patagonia Down Sweater - Patagonia's Down Sweater Jacket packs so much punch into 12 ounces, it will easily become your go-to down jacket this winter. The windproof fabric is jammed with just the right amount of 800 fill down to keep you heated at the core, right where you need it most. The clean, classic style will take you from your favorite coffee shop and straight up into the mountains without a second thought.- Some of the Patagonia Down Sweaters for Fall 2011 are made with non-recycled fabric. 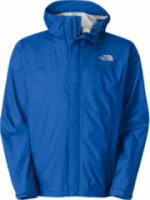 The North Face Apex Bionic Jacket - The North Face Apex Bionic Jacket for Men Features. 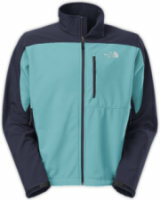 The North Face Apex Bionic Jacket for Men. The North Face Apex Bionic Jacket for Men is made with the innovative TNF Apex ClimateBlock fabric that is wind permeability rated at 0 CFM, has a cozy fleece backer, and adjustable cuffs and hem for even greater protection. The hem cinch-cord allows you to adjust for a precise fit, and dual zip hand pockets and left Napoleon chest pocket provide ample space to stash essentials. 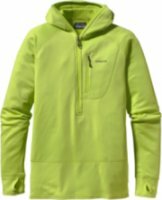 Patagonia R1 Pullover - "The Patagonia R1 Pullover is legit. It's light, comfortable, and still provides good warmth. I use it as a layering piece for the slopes, and also when I need a long sleeve on the golf course, or walking town if there's still just a little chill in the air. I sport the Narwhal Grey, but if you like a little pop there are some serious color options. Be cool, pull it over your head. ""The Patagonia R1 Pullover is a staple in my fall and winter layering system. Patagonia R2 Jacket - If you’re looking for an eco-friendly, compressible, breathable, versatile fleece jacket, look no further than the Patagonia Men’s R2 Jacket. 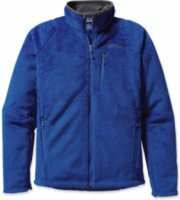 This jacket is made with 6.1 ounces of Polartec Thermal Pro fleece, which is a 64% recycled polyester/spandex blend, and weighs in at 13.1 ounces. Patagonia strategically placed Polartec Power Stretch panels along the sides of the body and arms, adding extra air flow, a closer fit and easier motion control, making the R2 an ideal layering choice when hitting the slopes. 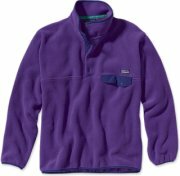 Patagonia 1/4-Zip Better Sweater - Patagonia Better Sweater 1/4 Zip - Men's: The Better Sweater is built of 9.5-oz polyester with a sweater-knit exterior and a fleece interior that creates an easy-wearing, moisture-wicking, bulk-free garment that is ready for the coldest days on the hill. The stand-up collar has a zipper garage and the raglan sleeves provide pack-wearing comfort. Micropolyester trim at the collar, cuffs and hem wicks sweat. Vertical zippered chest pocket ideal for carrying keys, cash, etc. Patagonia Classic Retro-X Jacket - The Men's Retro-X Jacket by Patagonia's breathable/windproof P. E. F. (performance-enhancing film or Primary Elephant Fuel as I like to think of it) barrier sits comfortably between layers of thickly piled, ecofriendly PCR Synchilla fleece and a Capilene brushed-mesh lining. 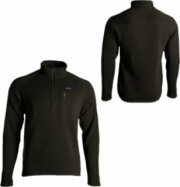 This men’s fleece jacket offers a windflap behind full-front zip closure, zippered side and chest pockets. The Retro-X Jacket is ideal for lift-accessed riding, fly fishing, base camp warm up, around town, or outdoor work. Arc'teryx Beta AR Jacket - Arcteryx Beta AR Jacket - Men's: The streamlined Beta AR Jacket provides the backcountry minimalist with durable storm protection in a lightweight and packable format. This hip length GORE-TEX Pro Shell jacket reduces layering overlap and bulk. The Beta AR has a helmet compatible Drop Hood offering quick access for storm protection. The elbows and shoulders are reinforced to survive alpine abuse. Technical Features. Waterproof. Snow-shedding. Windproof. Breathable. Lightweight. Durable. 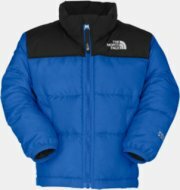 The North Face Nuptse 2 Jacket - A classic, coveted down jacket redesigned in 2011 with a more modern, flattering slim fit. Constructed with ample 700-fill goose down, this high-loft down jacket delivers plush warmth in brutal conditions. Double-layer taffeta paneling at shoulders provides added durability from abrasion caused by pack carry. First thing you think when you pull on The North Face Men's Nuptse 2 Jacket? Warm. Second thing? This Nuptse 2 seems to fit just a little snugger than my old Nuptse. 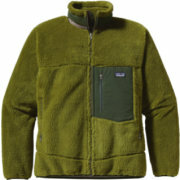 Patagonia Nano Puff Hoody - Patagonia Men's Nano Puff Hoody. Windproof and water-resistant, the full-zip Nano Puff® Hoody is made with warm, incredibly lightweight, highly compressible 60-g PrimaLoft® ONE insulation, and is ideal as an insulating layer or outerwear in cold climates. When missing the sunset curfew means climbing through spindrift rivers into the night, the Nano Puff® Hoody shines. It serves triple duty as an insulated jacket, a thermal midlayer and a sleek micro-belay parka on quick alpine dashes - sometimes all in the same day (or night, when the dash isn't so quick). 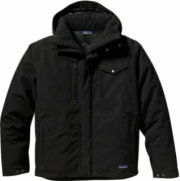 Patagonia R4 Jacket - The Patagonia Men's R4 is an impressively warm and windproof fleece jacket. You might be thinking "the R4 is the highest number R jacket in the series... it must be the warmest".... well, that's awfully presumptuous of you, but you're right. This time. The R4 is comprised of 3 layers: the outer is super warm high-loft R4® fabric, the middle is Polartec® Windbloc® polyester with a windproof laminate, and the inner layer is an R2® grid. 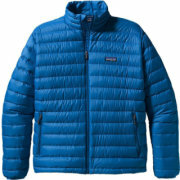 Patagonia Nano Puff Jacket - Men's Patagonia Nano Puff Jacket is a lightweight mens puffy jacket spawned from the popular Nano Puff Pullover. Windproof and water resistant, the Patagonia Nano Puff Jacket has a streamlined, simple design that makes it both a great weather-resistant jacket or an insulating mid-layer. Highly compressible, this jacket can pack down to practically nothing, and can be stuffed into its own internal chest pocket. 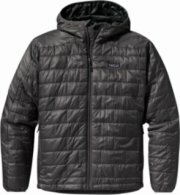 Ultralight ripstop recycled polyester face fabric has a Deluge DWR (durable water repellent) finish that beads away moisture.60g PrimaLoft polyester insulation boasts a patented microfiber structure that's as warm as down, compressible, breathable, lightweight AND offers superior water repellency. 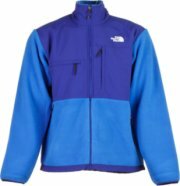 The North Face Denali Jacket - The North Face Denali Jacket is pretty much the emperor of North Face fleece jackets, and all fleece jackets in the world for that matter. The redesigned men's Denali jacket features a napoleon chest pocket and horizontal chest pocket, and is still constructed with the incredible recycled Polartec 300 series fleece with DWR to offer awesome protection in a chilly breeze. The North Face Denali jacket has a pair of hand pockets, elastic-bound cuffs, pit-zip vents and a hem cinch cord that combine to create adjustability for personal comfort. 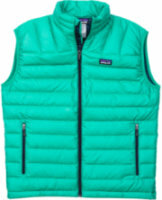 Patagonia Down Sweater Vest - Men's Down Sweater Vest by Patagonia is an ultra premium alternative. Wear this and be warm. I like this for layering under a shell when I go skiing. Even better for cool nights while backpacking and chilling after dinner. Made for high altitude, low attitude. Well, I need an attitude adjustment I've been told. More than once. Either way, the Down Sweater Vest is a great piece of Patagonia. FEATURES of the Patagonia Men's Down Sweater Vest. 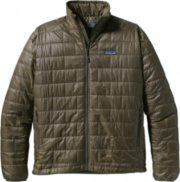 Patagonia Torrentshell Jacket - Patagonia Men's Torrentshell Jacket. Pared-down and packable, the Torrentshell Jacket is an H2NoPerformance Standard 2.5-layer nylon waterproof/breathable hard shell rain jacket for seriously wet weather. Aside from stunning landscapes, Southern Patagonia is known for one thing: wet weather. For trekking and hiking in drenching conditions, our Torrentshell Jacket provides H2NoPerformance Standard protection that's durable, lightweight and simple. We’ve improved the fit, and the 2.5-layer nylon rain jacket has a waterproof/breathable barrier, a DelugeDWR (durable water repellent) finish and stuffs into one of two zippered handwarmer pockets (with a carabiner clip-in loop). 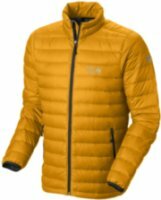 Arc'teryx Alpha SV Jacket - Arc'teryx has earned a reputation in the outdoor industry for making some of the toughest gear available. Arc'teryx doesn't pull any punches when it designs its gear. Nowhere is this more evident than its SV line of clothing—the burliest clothing that Arc'teryx makes. For 2013, Arc'teryx redesigned its venerable Alpha SV Jacket around a high-density nylon face fabric with a Gore-Tex Pro 3L laminate to make it just as tough as before, but now quieter and more supple. Spyder Leader Jacket - The new Spyder Men's Leader Jacket is stacked to the max with technical features designed to adapt to the best and worst of winter conditions. A perennially popular Spyder jacket, bold mechanical blocking and custom-embossed nylon taffeta lining, not to mention wicked waterproofing, keep this jacket far in front of the snow-sport crowd. Don't feel guilty; there's nothing wrong with always being the first one to get to the bottom (or the first in the lift line). 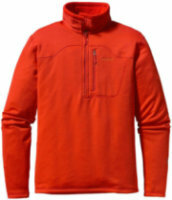 Marmot ROM Jacket - The Men's ROM Jacket by Marmot. Stands for Range of Motion. This zonally constructed jacket uses air permeable Marmot M2 softshell and GORE WINDSTOPPER fabrics to create an incredibly comfortable, breathable garment that's also windproof and highly water-resistant. Marmot's big mountain heritage shows in every detail of this Swiss army knife of softshells. FEATURES of the Marmot Men's ROM Jacket. SPECIFICATIONS of the Marmot Men's ROM Jacket. Machine wash cold and tumble dry low. 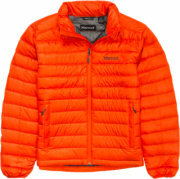 Mountain Hardwear Nitrous Jacket - FEATURES of the Mountain Hardwear Men's Nitrous Jacket. SPECIFICATIONS of the Mountain Hardwear Men's Nitrous Jacket. Full elastic cuffs slide easily over layers to seal in warmthMicro-Chamois™-lined chin guard prevents zipper chafeStandard fitDual hem drawcords seal in warmthQuilted Construction Holds Insulation in PlaceQ Shield water resistant 800 fill downTwo front hand-warmer pocketJacket Folds Away in Own Pocket30D ripstopCompact, stowable design. 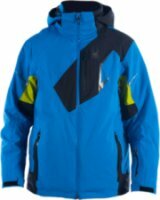 Marmot PreCip Jacket - The Marmot Men’s PreCip Jacket is so legit for those dull, rainy days. Well, you could make them un-dull by putting on the PreCip and going out and having fun outdoors still. This Marmot jacket is 100 percent seam taped, and is made from waterproof PreCip Dy Touch technology. So fancy. An elastic draw cord hem makes it easy to find the perfect fit, and this thing has a roll-up hood.